Its operations guided by a robust code of ethics and conduct, Fitch Ratings is well poised to meet increased demand for market analytics and credit data. Founded in 1914, Fitch Ratings has maintained a corporate growth trajectory throughout its history. The smallest of the Big Three credit rating agencies, Fitch Ratings has managed to act as a tie-breaker when its competitors produce like results on any given credit. Proactively absorbing knowledge on the behaviour of the markets and their many actors and incorporating the resulting data into its proprietary processes and algorithms, has allowed Fitch Ratings to appropriately reflect the capital market environment at any given time and leverage that expertise to further improve the quality of its ratings. With over 2,000 experienced professionals working across its network of 30 offices around the world, Fitch Ratings offers near-blanket coverage of financial instruments on a global scale. The company also produces a constantly updated stream of financial news, highlighting credit hotspots and giving solid guidance to professionals seeking not only to gauge market sentiment but stay well ahead of the event curve. Fitch Ratings is but one of many pillars that sustain the Fitch Group. As such it dovetails with Fitch Solutions, Fitch Learning and BMI Research to offer comprehensive coverage of all angles to the financial markets. The CFI.co judging panel wishes to commend Fitch Ratings on the breadth, depth and quality of its product and services suite. 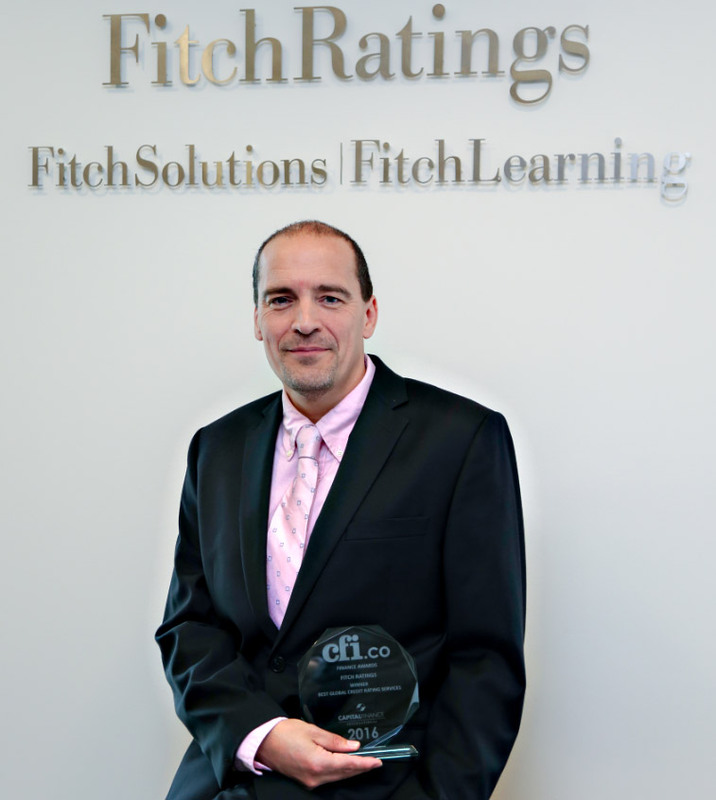 The judges hereby extend the 2016 Best Global Rating Service Award to Fitch Ratings.